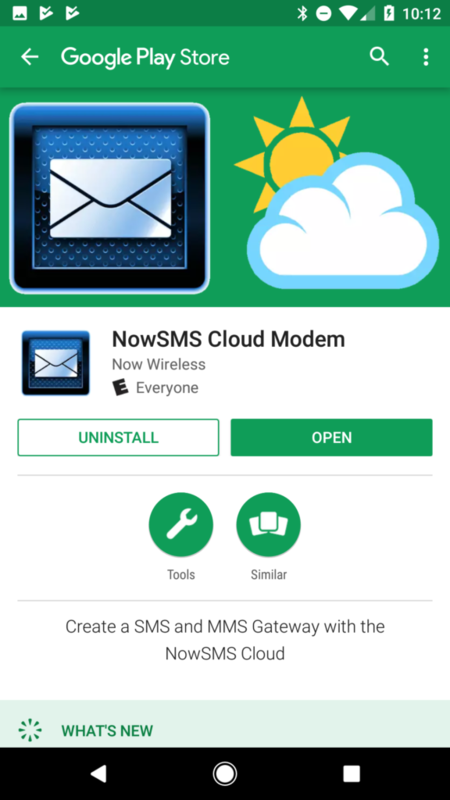 This document is intended to provide a quick start for setting up NowSMS Lite to use an Android modem for sending and/or receiving SMS and/or MMS messages. 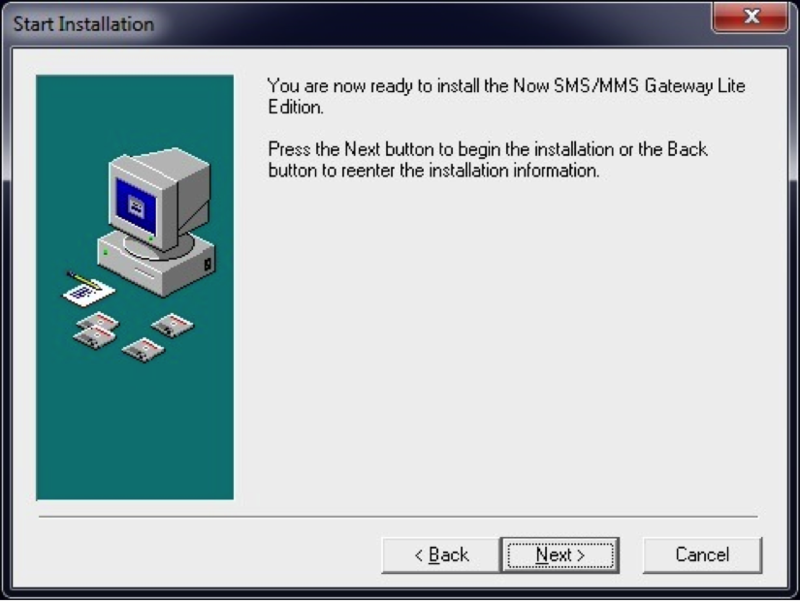 The configuration steps are similar in NowSMS Editions, however there are separate Quick Start Guides available for Now SMS/MMS Gateway and NowSMS Cloud Edition that contain instructions specific to those products. 2.) Remote via Cloud – This is the easiest option if you are not familiar with, or do not wish to be concerned with networking requirements. 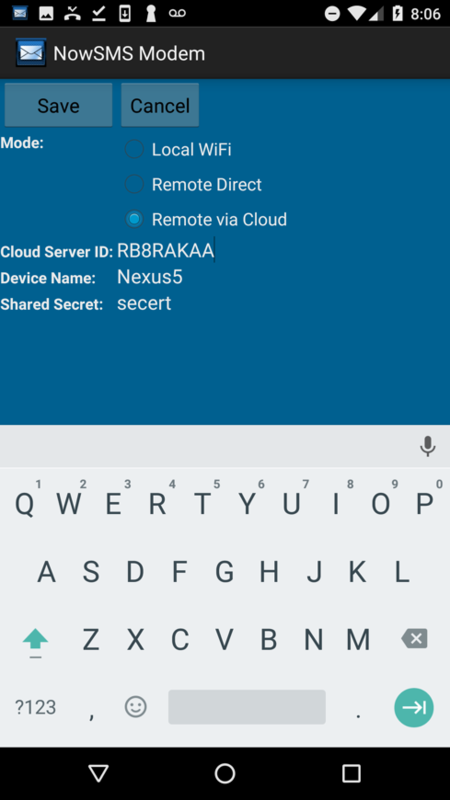 The Android device and NowSMS PC both maintain a connection to a secure cloud service which establishes a secure and encrypted tunnel for communication. 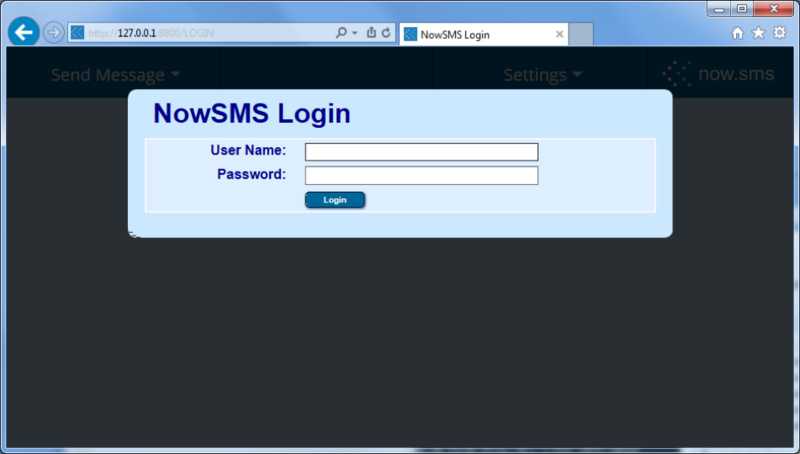 A fully functional, but time limited, trial version of NowSMS Lite can be downloaded from the NowSMS web site at https://www.nowsms.com/download-free-trial. 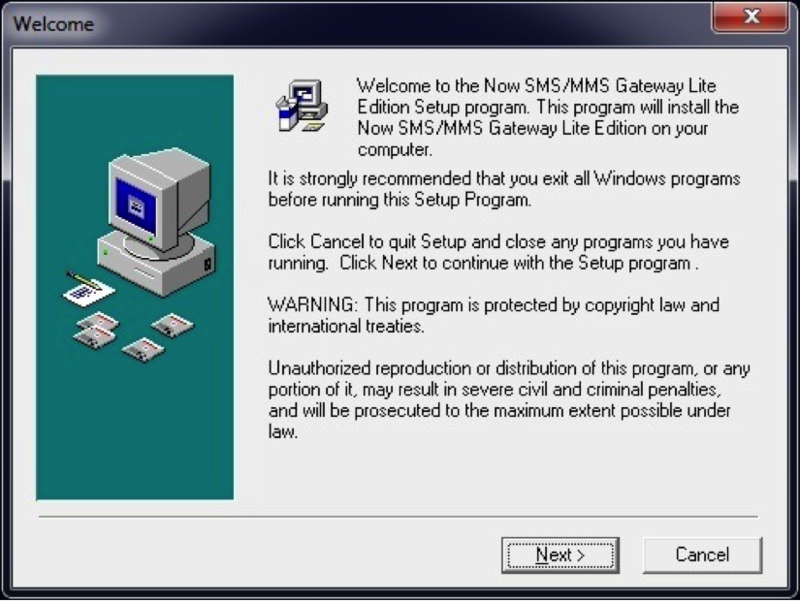 Run nowsmslite.exe to install the NowSMS Lite software. 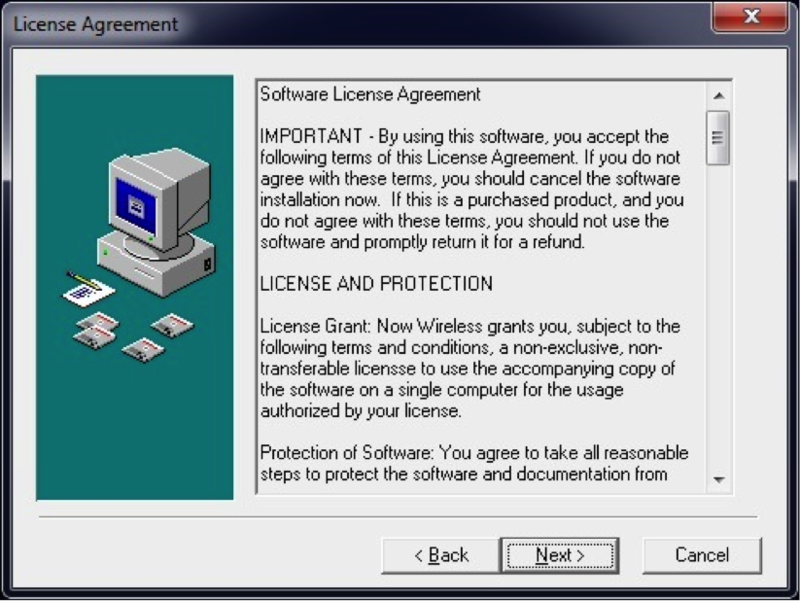 When the installation is finished, NowSMS Lite may again display a prompt about the number of days remaining in the trial license. Press OK to continue. 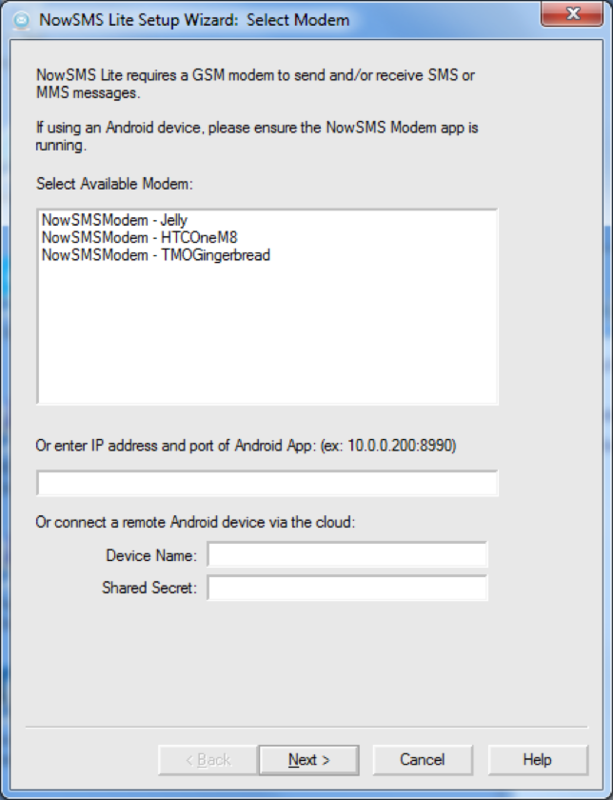 NowSMS Lite is now loading and querying your local network to look for Android modems. This may take 30 to 45 seconds without any visible notification. If NowSMS Lite does not start within 2 minutes, double click on the NowSMS Lite icon to begin setup. 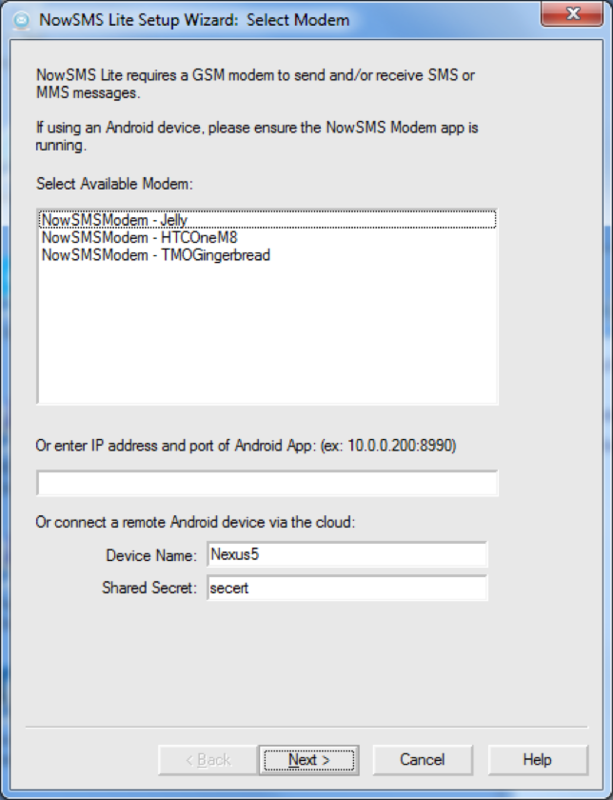 There are 2 ways to configure the connectivity between NowSMS Lite and the Android device. 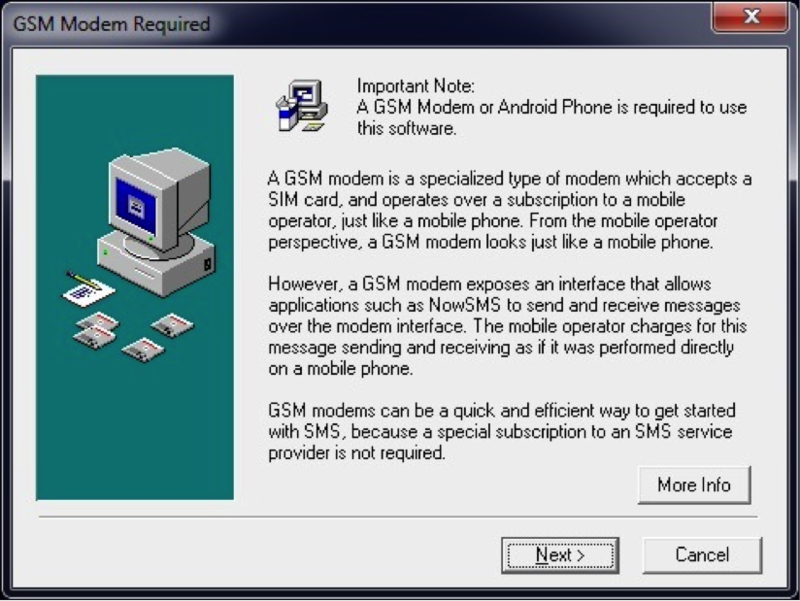 Local WiFi – The Android device is connected to WiFi and is on the same network as the NowSMS PC. 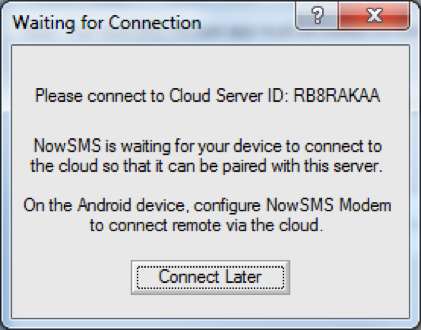 When running on the same local network, the NowSMS PC and Android device can find each other without requiring manual IP address configuration. Remote via Cloud – This is the easiest option if you are not familiar with, or do not wish to be concerned with networking requirements. 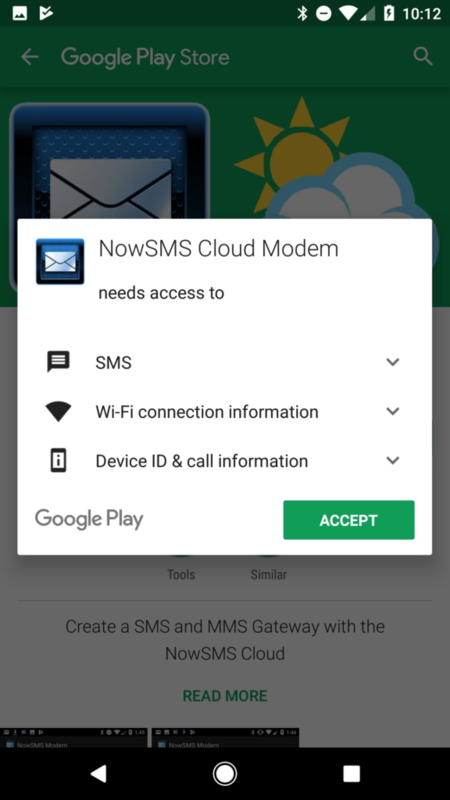 The Android device and NowSMS PC both maintain a connection to a secure cloud service which establishes a secure and encrypted tunnel for communication. 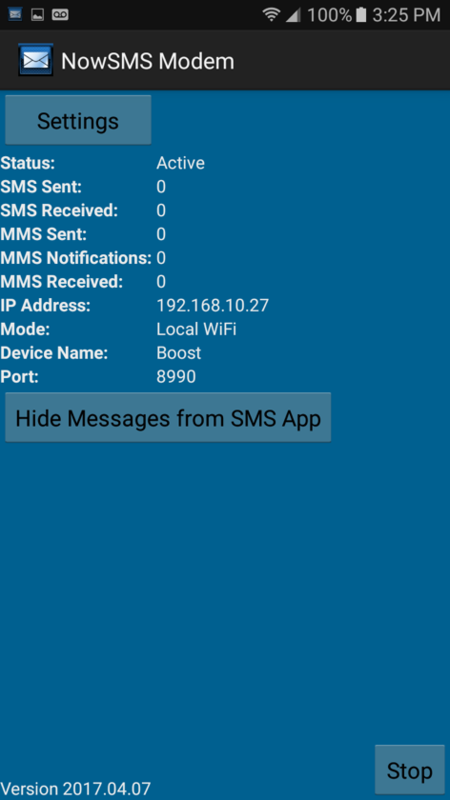 For Local WiFi Mode, NowSMS Lite will query the local network to locate Android devices with the NowSMS Modem application loaded, and display a list. Select the device and press Next. 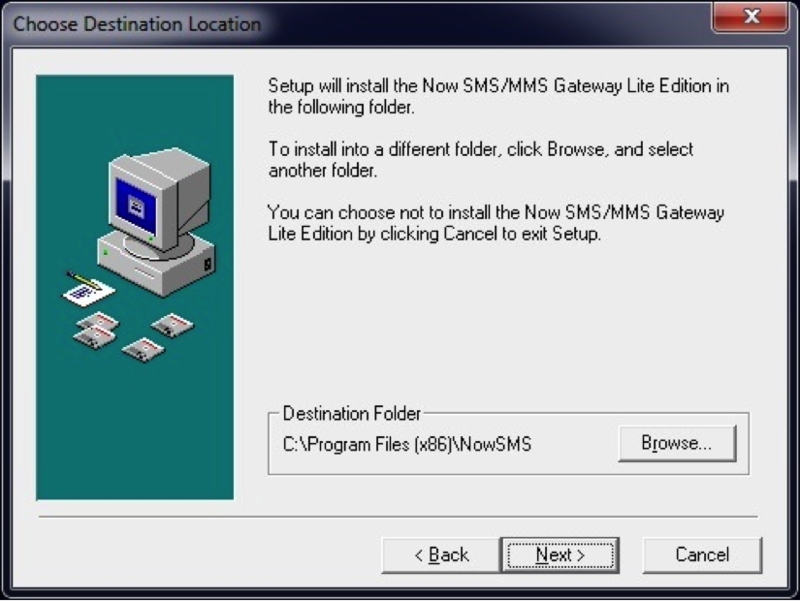 NowSMS and the Android device might be connected to different access points which create separate networks and are not bridged. The wireless access point may have isolation mode enabled (very common on guest networks), which prevents devices from communicating with each other. In situations where the devices cannot communicate locally, Remote via Cloud connectivity should be considered as an alternative. 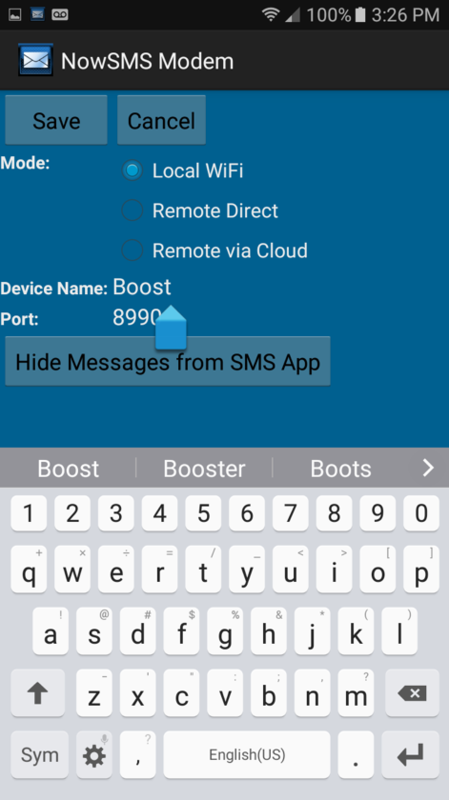 To configure this mode, first assign a device name and secret to be used by the device. 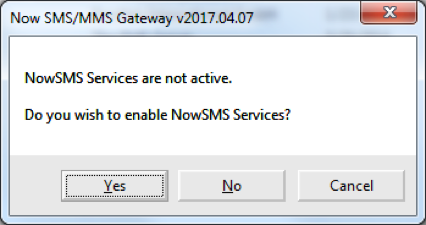 When the NowSMS server confirms that it has connected with the device, it will display the device connection properties. 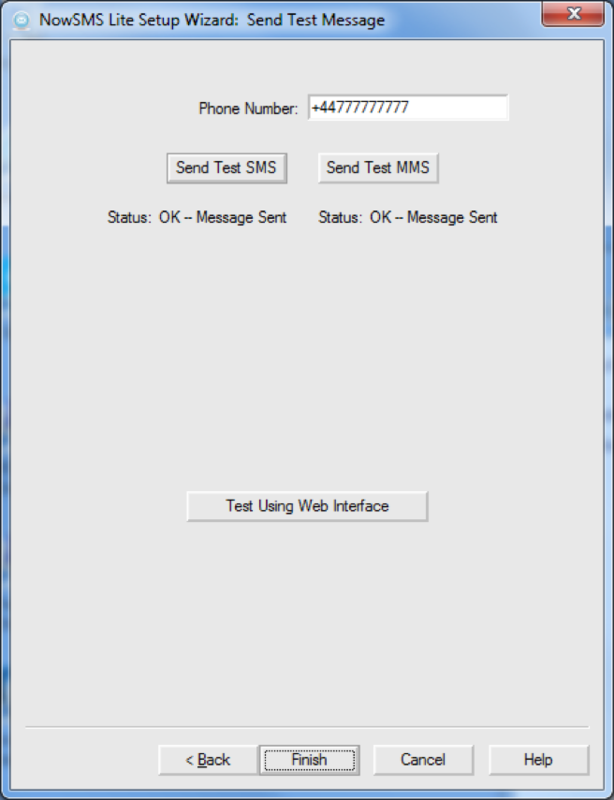 MMS messaging may require additional configuration. 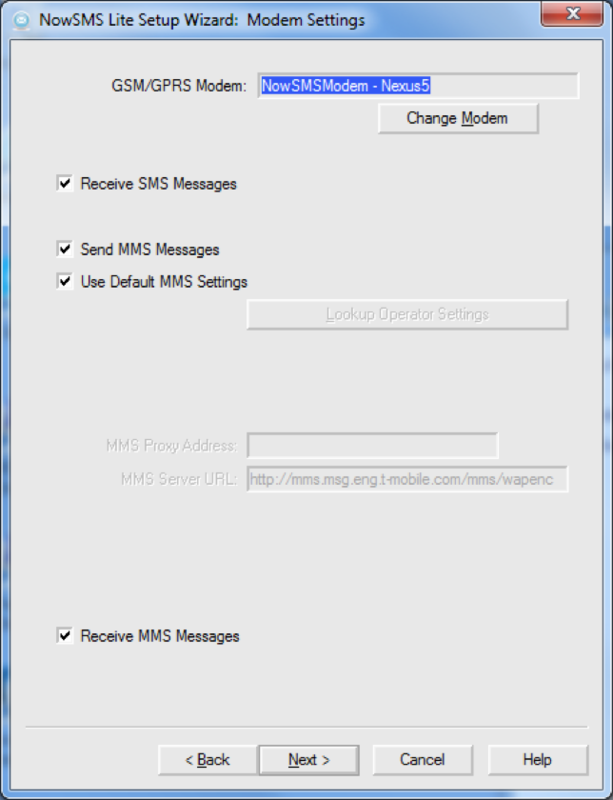 NowSMS Lite will attempt to read the MMS settings from the device, however in some instances this is not possible or incorrect. This is why we suggest testing MMS sending and receiving on the device before installing the Android app. 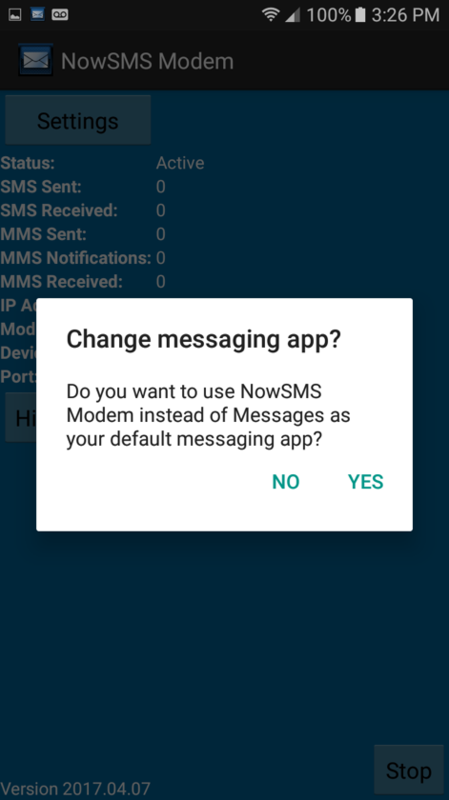 If Use Default MMS Settings is checked, this means that NowSMS Lite believes that it has the correct MMS settings for your mobile operator. We recommend pressing Next to continue and use those settings. If Use Default MMS Settings is not checked, this means that NowSMS Lite cannot determine the correct MMS settings for your mobile operator. 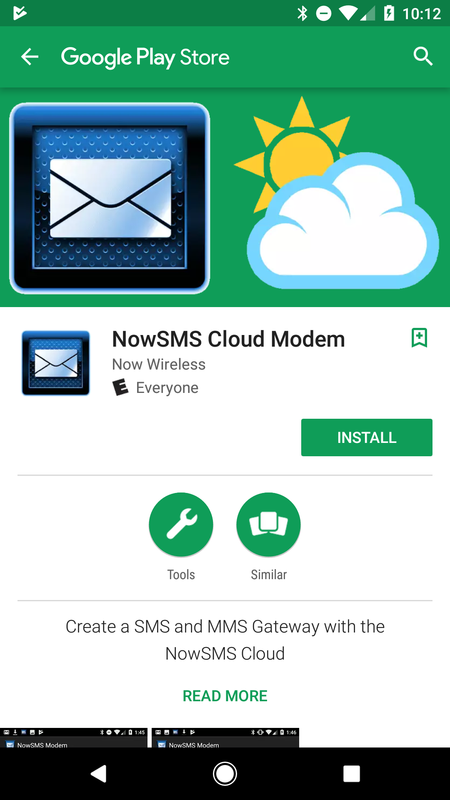 In this case the MMS Proxy Address and MMS Server URL settings must be manually configured in NowSMS Lite, and the MMS APN must be configured in the Android device settings. 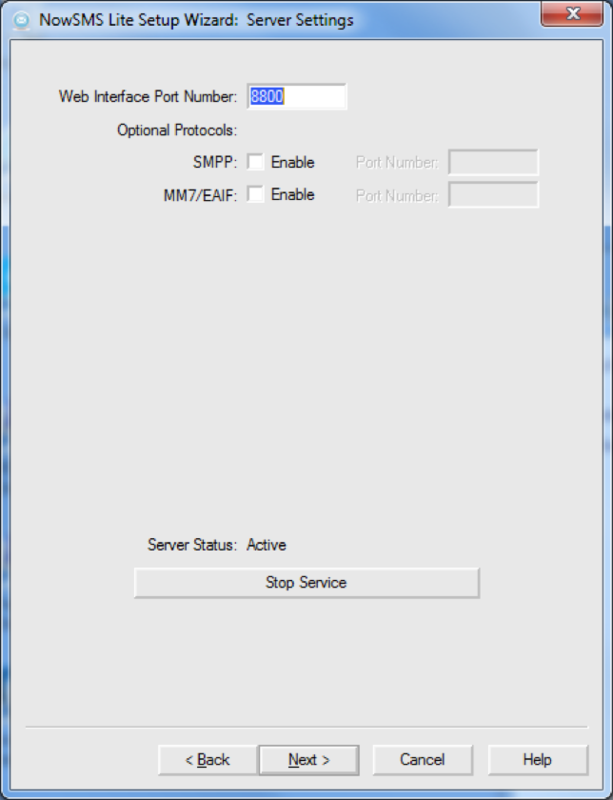 We recommend using the default settings for ports and protocols during initial configuration. It is not necessary to install the service as this action will be performed automatically when you press Next. 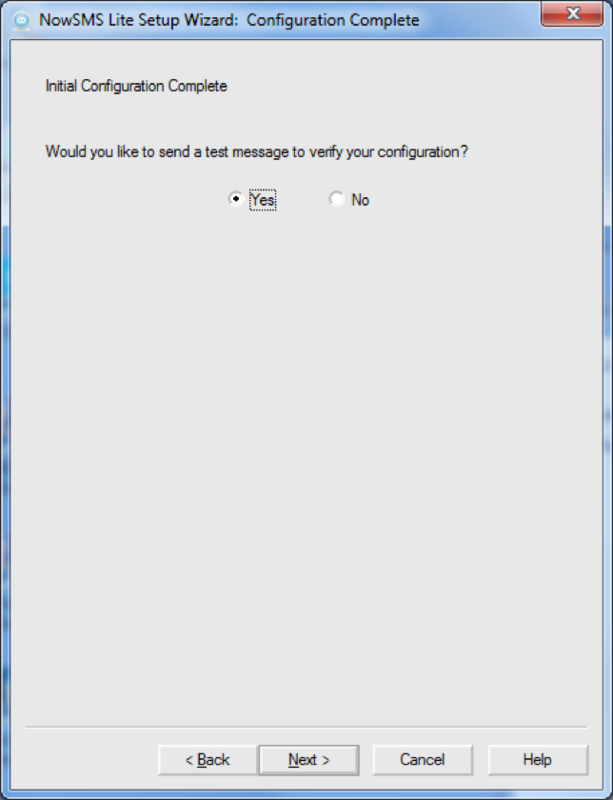 The final installation step is to send test messages to verify that everything is configured correctly. Select Yes and press Next. 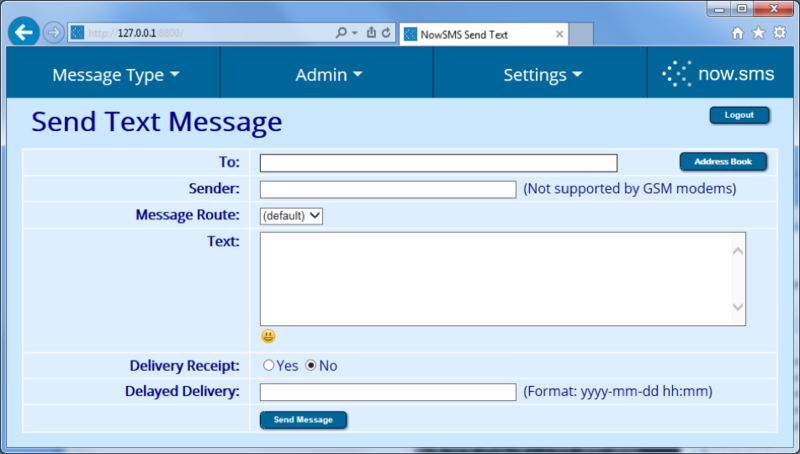 Enter a phone number and use the Send Test SMS and Send Test MMS buttons to send test messages.